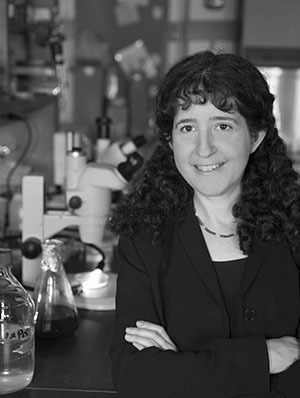 Laura Landweber, president-elect of SMBE, is a Professor of Biochemistry and Molecular Biophysics and Biological Sciences at Columbia University. She was a graduate student at Harvard and a Harvard Junior Fellow before joining the Princeton faculty from 1994-2016. She has authored over 140 publications in molecular and evolutionary biology and edited 3 books. She is an associate editor of GBE and previously served on SMBE Council from 2007-2009. In addition to many panels and advisory committees at NSF, NIH, and NASA, she co-chaired the NHGRI Comparative Genome Evolution Working Group, which selected new organisms for genome sequencing from 2003-2007. She is also a Founding Co-Editor-in-Chief of Biology Direct, a journal that was the first to offer open, signed peer review. Awards include a Guggenheim fellowship and a Blavatnik award, and election as a Fellow of AAAS for probing the diversity of genetic systems in microbial eukaryotes, including scrambled genes, RNA editing, and variant genetic codes. Her work investigates the origin of novel genetic systems in unconventional eukaryotes. Recent discoveries include the ability of small and long non-coding RNA molecules to transmit heritable information across generations, bypassing the information encoded in DNA.